Skiing is an excellent opportunity to get out into nature and get some great exercise. On a clear day, you can see for miles as you stand at the top of the mountain. But on a cold day, you’re usually just trying to stay warm after having to sit still on a cold, metal lift. By the time you reach the top, you’re frozen. While it’s bad enough to have the core of your body cold, frozen hands are the worst. It’s hard to grip your poles properly when you can barely feel your fingers. Which is why having the best ski mittens is so important. You don’t want to ruin a great day skiing by having to constantly stop and head into the lodge to warm up your hands. Which is why we’re sharing with you the 10 warmest ski mittens available. 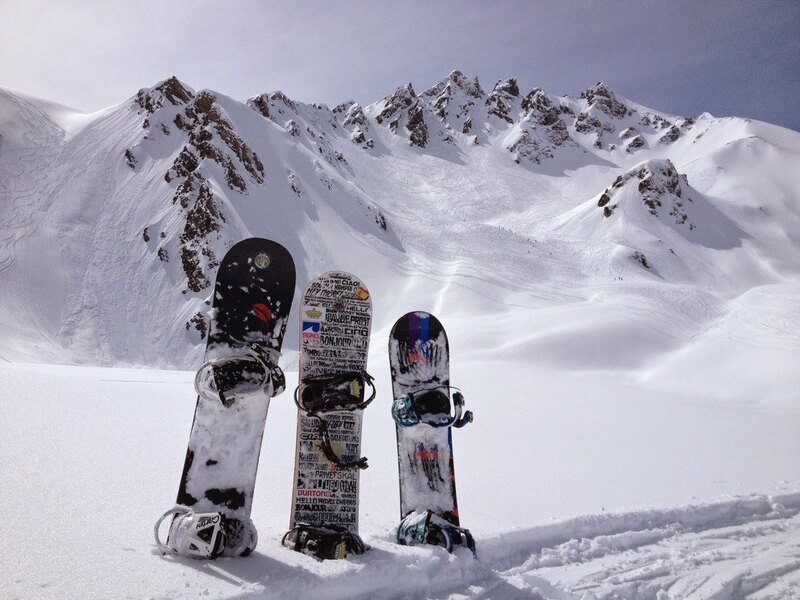 Keep reading to learn which pair you need to invest in before ski season starts. Before you get to our buyers guide, here are our picks for the best ski mittens of 2018. The Tough Outfitters Summit Mittens are perfect for skiing, snowboarding and fighting off White Walkers. Warm and waterproof, these gloves come with wrist leashes, perfect for snapping selfies on the lift or keeping your gloves in an epic yard sale. Tough Outfitters provides high performance gear without the high prices. They design, manufacture and sell their own products, cutting out middlemen (ski resorts) and passing the savings onto you. Dakine Titan are some of the warmest ski mittens because the outer cover has 100% insulation, is waterproof and water repellant. It also has a removable stretch lining that’s perfect in cold weather. With an 85% expected fit, Dakine Titan Mittens come in small, medium, large, and extra-large. It comes with Gore-Tex insert technology which adds an extra layer of warmth and waterproofing. The one biggest complaint about Dakine Titan mittens is that they’re only made for men. Burton Gore-Tex mittens are great for those people who aren’t prepared to make a financial investment as a serious skier. If you only ski a few times a year and never in extreme temperatures, Burton Gore-Tex mittens are a great choice for you. They’re relatively inexpensive and as long as you keep them dry and the temperatures aren’t below freezing, you’ll stay happy, dry, and warm. You’ll also enjoy the zipped pocket where you can keep a harm warmer. These mittens have Thermacore insulation to keep your hands warm without limiting your movement. Black Diamond Mercury Mitts are the warmest ski mittens available. These mittens use both Primaloft insulation and thick wool between the removable lining to help keep you warm even on the coldest days. They’re also very durable, especially due to the goatskin lining. And there’s a pretext shield that helps keep away moisture. However, these mittens are so warm, your hands may begin to sweat. They’re not as flexible as other mittens and gloves and they’re not compatible with touchscreens. But, they’re 100% waterproof and have models for men and women. Columbia Bugaboo mittens come with a waterproof-breathable insulation through a detachable touchscreen. They’re also very durable and are made with a synthetic palm grip which keeps them waterproof and breathable. Columbia’s Bugaboo mittens are also perfect for people searching for a pair that fit perfectly and can protect them when the weather gets extremely cold. They’re also insulated by 100% Omni-heat Thermal insulation. Through the touchscreen, they can actually adapt to your body’s temperature. Their cost is also reasonable. The bad news is that Columbia Bugaboo mittens are not unisex. These particular mittens are made for men only. Outdoor Research Lucent mittens are built with ALTI heat. This is a rechargeable battery covered by a heating system that can keep you warm even in the coldest of environments. Outdoor Research mittens come with Gore-Tex inserts, making them waterproof. With EnduraLoft insulation, users will enjoy an extra layer of warmth and protection against the elements. With these mittens comes a lifetime guarantee but even without using the batteries, they will keep you warm. Best of all, they’re unisex. The downsides to Outdoor Research Lucent heated mittens are that they’re expensive and they aren’t interchangeable. You know you’ve found the best women’s ski mittens when they’ve been named after a legendary skier like Seth Morrison. While these are pricey mittens, they’re also made incredibly well. Hestra Morrison Pro mittens provide you with the highest levels of movement and dexterity. They’re also made from high-quality leather, but beware as you’ll need to treat the leather to maintain these mittens. Even with the leather, Hestra Morrison Pro mittens are water and windproof. It’s not compatible with a touchscreen, though, so people who need to bring along tech gadgets may not love this glove as much. For those who tend to ski in conditions that are wet and heavy, the Outdoor Research Arete ski mittens are a great choice. With a durable nylon shell and Gore-Tex insert, they’re lightweight, comfortable, and reasonably priced. The Arete comes with a thin, removable liner glove. They’re also 100% waterproof. However, these mittens are snug around the wrist and aren’t adjustable. They’re also not as warm as other types of mittens and gloves. Gordini GTX Storm mittens are great for those who like to ski on occasion and are also concerned about price. First of all, these mittens are surprisingly warm, considering their modest price. They’re also durable and waterproof. Gordini mittens have a soft interior and are comfortable. It also comes with a heater pack pocket to help keep you warm on those very cold days. The only real downsides are that the liner isn’t removable and you have to remove your mittens to use your cell phone. The fingertips don’t work with touchscreens. If you’re looking for the best women’s ski mittens, Arc-teryx Fission stands out as the overall best brand to buy. While it’s a unisex mittne, they manage to create the perfect balance between warmth and water resistance. They’re constructed with a Gore-Tex XCR waterproof insert. There’s PrimaLoft Gold insulation inside both the fingertips and palms to give you less bulk with more warmth. It’s also easy to make adjustments while wearing your Arc’terxy Fission mittens. The biggest downside to these mittens is that they’re a bit on the pricey side. If you love powder, then the Hestra Heli Mitt may be the best ski mittens for you. Not only do they look great, but they also fit well and will keep your hands warm. Even if you’re skiing in temperatures around -20F you will still find your hands staying warm. That’s not an easy feat! And with its double-layer design, you have the option to use just the shell or liner. If you need, there’s extra space to add an extra liner, if you need one. The design keeps snow out when you’re skiing through deep powder. And it’s price is reasonable, considering everything it comes with. Best of all, Hestra Heli Mitts are available as mittens as well. The bad news is they’re not great for keeping moisture out but these gloves/mittens are as dexterous as other types of hand-wear. 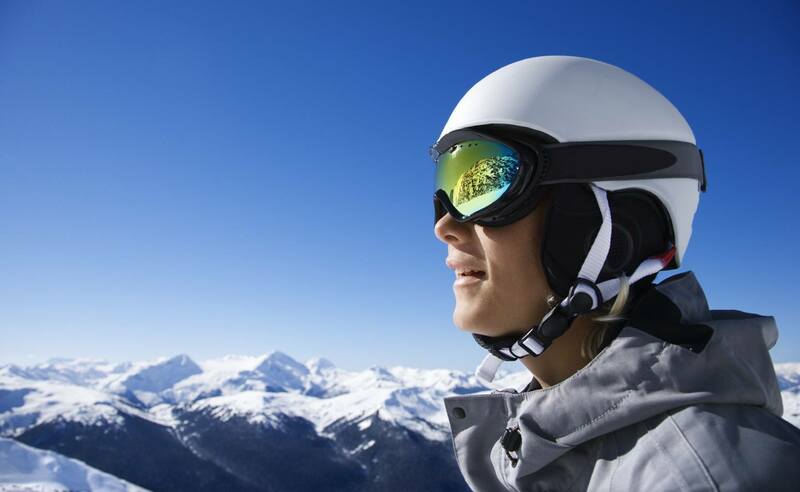 Choosing between the best women’s ski mittens or gloves isn’t always easy. There are pros and cons to both types of hand-wear. Some prefer gloves because your fingers are separate so you’re able to get a better grip on your poles with gloves. Also, it’s easier to do other tasks like getting a tissue out of your pocket without having to remove your gloves. However, on really cold days, mittens are an excellent choice because your fingers aren’t separated. As a result, your hand stays warmer. You can also buy a combination of both gloves and mittens with a 3-in-1. It’s a shell glove or mitten with a removable liner glove or mitten. You can also buy liner gloves that fit inside your gloves or mittens to help keep your fingers warm and dry. Even if you own a pair of the warmest ski mittens available, sometimes you need a little extra help. When the temperatures dip below zero, it’s hard to stay warm, no matter how bundled up you are. 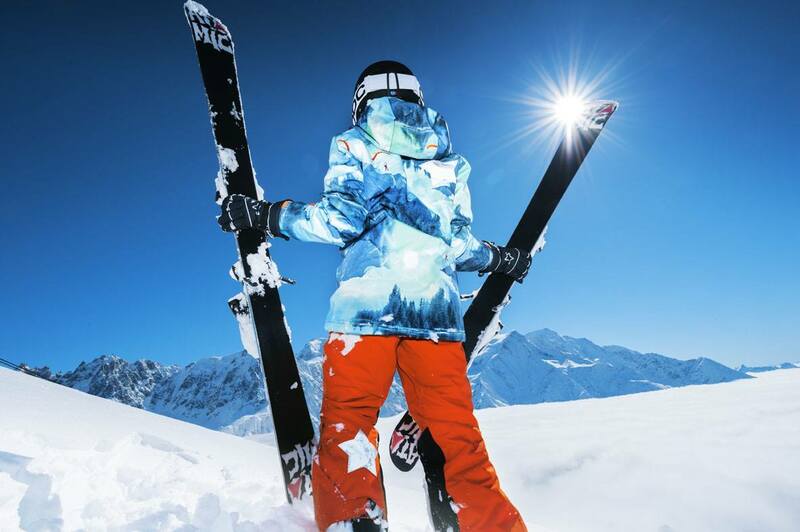 Here are some tips to help you stay warm while you hit the slopes. Keep hand warmers with you. They fit inside your coat pocket so you can grab one if your hands get too cold. Place one in each glove and you’ll instantly feel warm. There are times when your mittens may become wet due to snow or rain. When they get wet, your hands get cold. One convenient and quick way to both dry your mittens out and warm them up is to place them under the flow of the automatic hand dryer. Most ski resorts have automatic hand drying machines in their bathrooms. Skiing is a wonderful sport, but only if you have the proper equipment, including the best ski mittens. Ill-fitting ski boots are painful and often leave your feet freezing. The wrong type of skis for your level of skill will make it harder for you to enjoy your time on the slopes. It’s important to dress appropriately when you go skiing. Being too hot, too cold, or too wet ruins the experience. 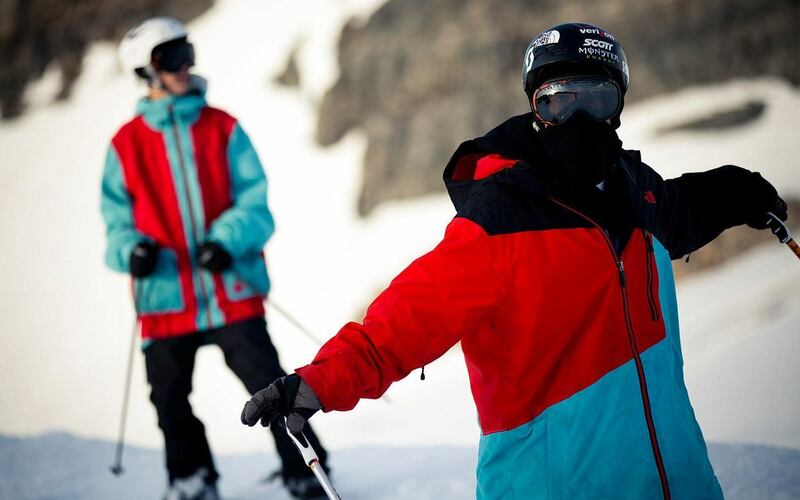 The right wardrobe, from gloves to socks ensures you spend more time skiing than inside the lodge.